Blancpain company is considered one of the most respected and oldest manufacturers of hours, because it was founded back in 1735 in a small village Vilre. The company’s founder, Jean-Jacques Blanp is in this village took its first watch model, and the masters were local villagers. What is interesting, the family Blanpa originally had nothing to do with the production hours. The first known representative of the family of the founder’s great-grandfather was Blanp Emer, who at one time was the village blacksmith. She and Jean-Jacques himself first worked on the farm, but for some unknown reason, became interested in the watch and made it a family affair. The grandson of the founder of the village shop named David began quite successfully sell different watches own production in Germany and France. In addition grandson scored creation College, where he taught watchmakers. Continued the work of David, his eldest son, Frederick Louis, who set out to improve the process of watch-making and improve the quality of products. Gradually, the requirements for precision and quality watches grew, and at the end of XIX century, the company has built a two-story factory. Before the First World War, the last of the famous family of watchmakers named Frederic-Emile established the factory intake watches. That it ceased to exist dynasty, as he died suddenly in 1932 and left a man worthy of honor to continue the tradition of watchmaking dynasty. He had a daughter by the name of Bert-Nellie, who could take the place of the new head of the company, but it was cool to watch production and were not found interest in continuing the family business. Therefore, in June 1933, took place the CEO’s assistant Frederic-Emile Betty Fitcher assistant and companion Andre Leal. New tandem leaders continued the work of Jean-Jacques Blanpa, and quite successfully. Quality watches continuing production company, but has received the name “Rayville Ltd.”. Updated company “Rayville-Blancpain” have traditional views and technologies hours and produced a year a few thousand hours, which was not enough for the prosperity of the company and a sharp blow to the competitiveness of e.
This situation could not last forever, and company joined the corporation Swiss Watch Industry Corporation Ltd., which played an important role in the development of the company. In 1971, the Corporation revised its guide your strategy and decided to concentrate on the production of quartz. In this situation it is much more complicated life Blancpain, because it is still traditionally produced only mechanical watches. So soon the company stifled corporate procedures, and after a short period of time and disappeared completely from the market watchmaking. However, such a company could not disappear without a trace, and in January 1983, Jacques Piguet and Jean-Claude Biver revived life Blancpain. Jean-Claude has correctly assessed the situation and realized that the company has always produced only mechanical watch and hardly re-classified in the production of quartz. 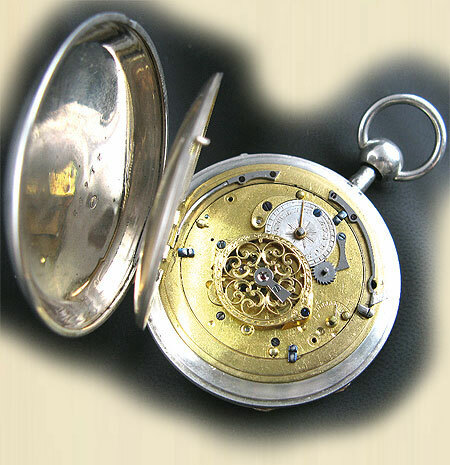 It was decided to revive the company, and with it the production of mechanical watches. By this time the company’s manufacturing facility is owned by the company “Omega”, therefore, in the village of Le breaststroke built a new manufacturing facility Blancpain. Gradually, the master of production and managed to revive the former glory of mechanical watches Blancpain and soon the legendary but forgotten brand, has found new life. In 1992, Jean-Claude Biver sold the company to a large concern SMH Group, which in 1998 became known as the Swatch Group. Yet Jean-Claude stood at the helm of the company until 2002, when the post of the head of Blancpain Marc Hayek took. Mechanical watch brand Blancpain are popular now, because they are quite reliable, high quality and possess an attractive and stylish design.